Many years ago my grandfather moved to Sonora, California. 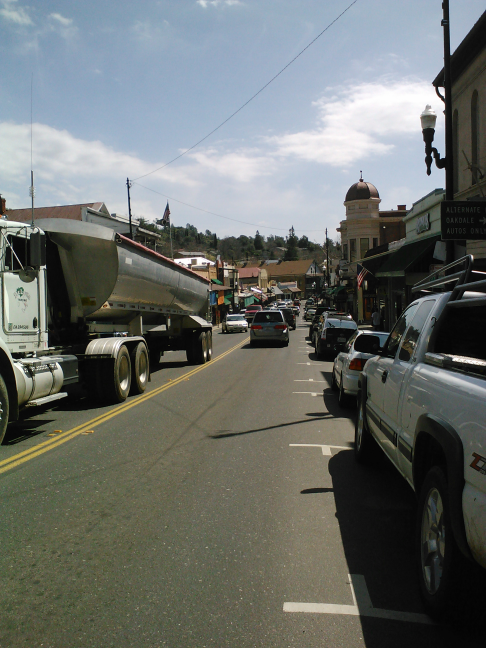 There was a point back in 1994/1995 that my family and I lived in Salida, California – only an hour drive from Sonora. Now in Arizona, I try my best to make at least a few visits per year to see my grandfather and to get away from the disgusting Arizona heat. The drive from Gilbert, Arizona to Sonora, California takes us about fifteen or so hours, depending on how many stops we decide to make along the way. Last week we made one of these visits to see my grandfather. Most of the time we spend up there consists of my grandfather driving us to different attractions and landmarks, such as Yosemite, Ironstone Vineyards, or even Mark Twain’s Cabin. One of the days spent in Sonora this trip consisted mostly of us walking up and down the main street of downtown peeking in antique shops and the like. 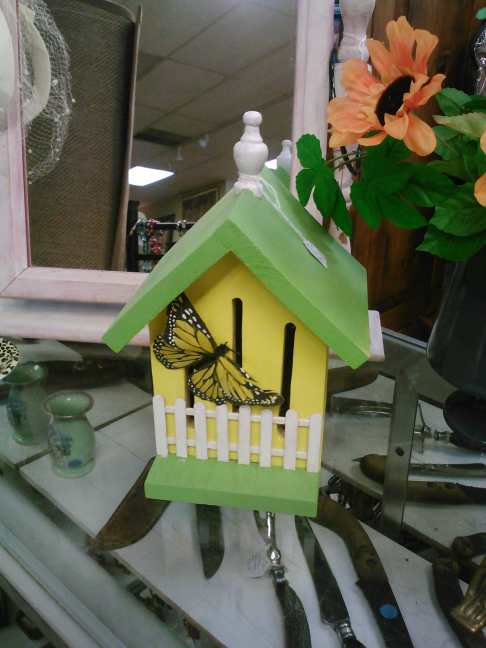 is where my grandfather, who builds birdhouses and butterfly houses, sells some of his creations. My absolute favorite place in downtown Sonora is Legends Books, Antiques & Old Fashioned Soda Fountain. 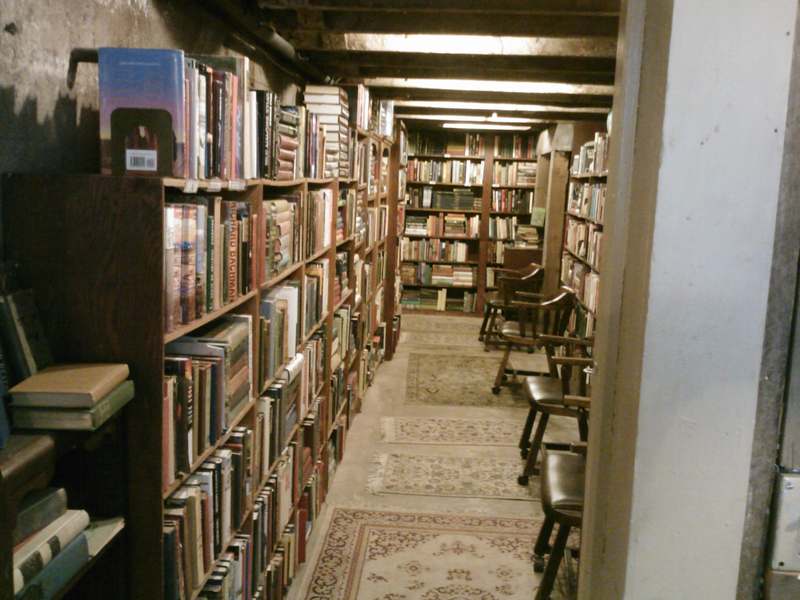 The shop contains one of my favorite spots – an underground passageway full of old books. 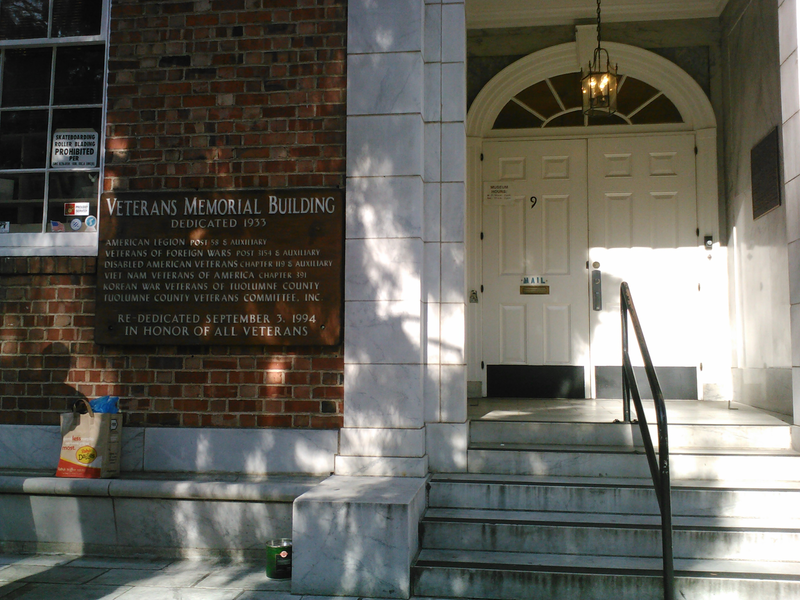 Another staple of downtown Sonora is the Veterans Memorial Hall and Military Museum. 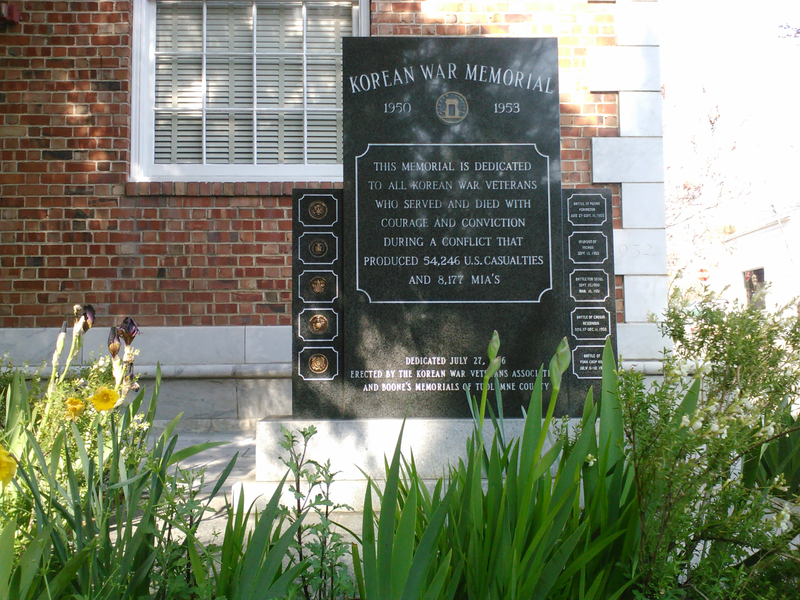 My grandfather designed the Korean War Veterans memorial stone. 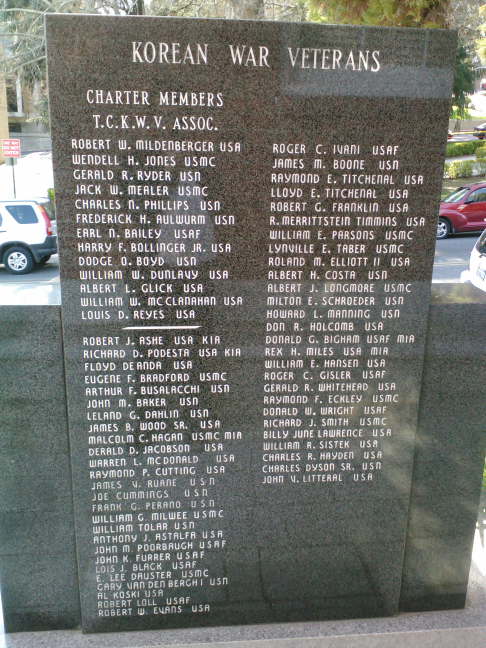 And you can see his name on the list on the back – Earl N. Bailey USAF. 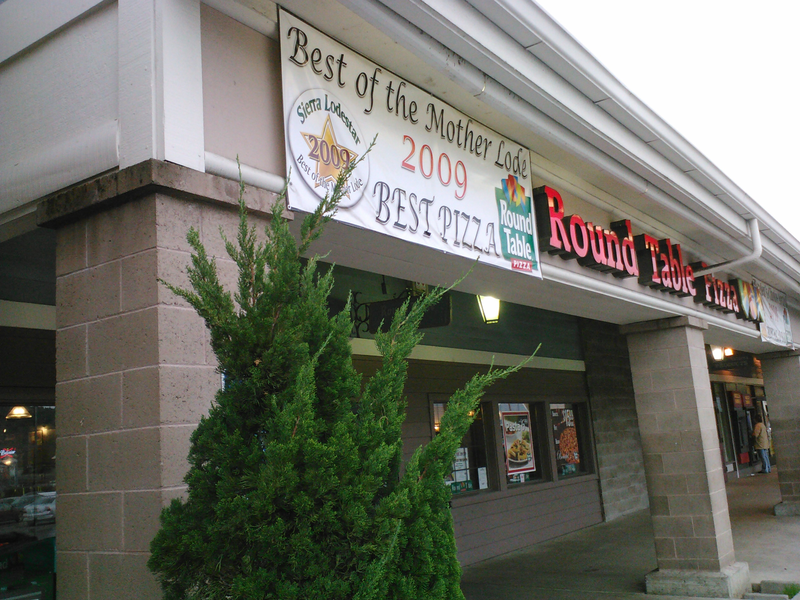 Of course, no visit to Sonora – or California in general – is complete without dinner at my favorite pizza stop – Round Table. Next week I’ll post some pics and whatever info I can find on some of the old books I brought back from California. (One of them was purchased from the Legends bookstore, but I am going to hold off on showing it until I can dig up some info on it.) 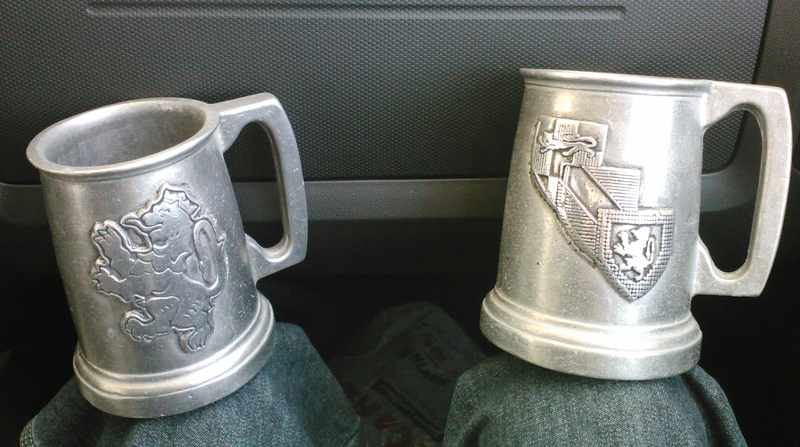 Some date back to the 1800’s, they are so old. 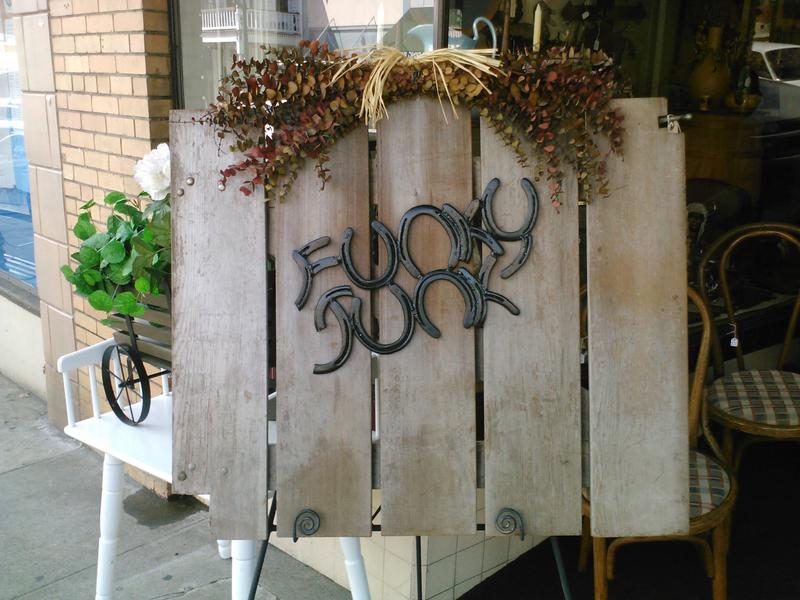 And since this blog is about writing and self-publishing, well, they will fit in perfect around here. Your grandfather sounds like an extremely cool guy. I've only been to California once, as a kid to go to some amusement park, but this definitely makes me want to go again. My grandfather is the coolest guy in all of existence. Possibly. He's always talking to us about the war and how he got into drafting and the patent he created and all sorts of other cool stories. And no matter what anyone says – California is the best. Maybe not politically, but I just love all the variety found in the state.